Photoshop backup is a complex operation including backing up projects, results and user data. Backup Photoshop styles, layers and other instruments along with graphic data using just one tool – a powerful “Computer” feature included in all editions of Handy Backup, in a combination with file filters! What to Include into Photoshop Backup? A backbone of Photoshop backup files are graphical data of all types, including work files (*.psd) and different source and output files, where each of these files can be both a result of one job and a source for another project (TIFF, JPEG, PNG and other graphical files). 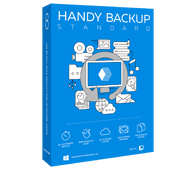 Along with graphic data, such as ready-to-use image formats and Photoshop projects, Handy Backup allows saving other usable data, e.g., backup Photoshop settings from a CS3 version or completely back up Photoshop CS5 actions under Windows 7. Caveat! These files may locate in different destinations, depending of user settings and the version of Photoshop software, so backup Photoshop settings CS5 version may be quite different from CS3 settings or Photoshop Elements 11 backup. Along with dedicated graphic data and Photoshop settings, these are many other data types associated with Photoshop backup, e.g. graphical textures, brushes and other tools, image layers (including special layers) and layer masks etc. Any of these files has a conventional name extension to add it to backup. Note: We are recommending using file masks for convenient selection of all Photoshop backup save data. This instrument will guarantee you finding any file required, say, for backup Photoshop settings in CS5 or (CS3 settings, or other), all brushes, and so on. In this brief instruction, we will show how to make Photoshop auto backup using the “Computer” feature built in Handy Backup. Before selecting Photoshop backup files, please set in your mind which types of files you may want to say. All Photoshop backup data may be split and selected by appropriate extensions. You may include other file formats in this list, depending of your particular settings and needs. It is the base. Note: For modified workspaces, use the folder name “Workspaces(Modified)” instead of “Workspaces” in the previous string. The Standard edition allows quick and efficient Photoshop backup to local drives, shared network resources and popular cloud services. Free 30-days trial version! After you were selected which files you need to copy, follow the simple instruction below. Open Handy Backup and create a new task by pressing Ctrl+N or by clicking new task a button on the management panel. On the Step 1, select a backup task type and click the “Next” button to continue. On the Step 2, click the “File filters…” button. In the dialog window appearing, type the list of Photoshop backup files you want to save in the “Include masks” field. 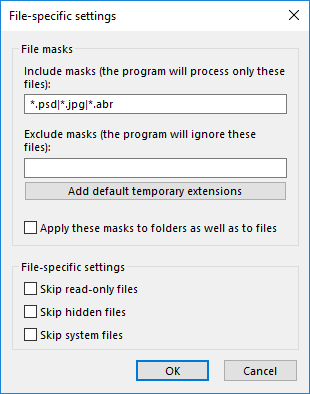 Separate different file masks with a semicolon. Press “OK” and return to the data selection window. Now choose the “Computer” plug-in on the left panel, under the “Local or network drive” group. Double-click on the plug-in name or click the “>>” button to add a data source. In the data selection window, you will see a list of files found using the specified file masks. 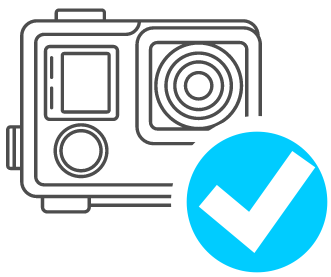 Note: You may unselect some of it on this step, just by removing checks from appropriate checkboxes. Again, click “OK” to continue creating the backup task. 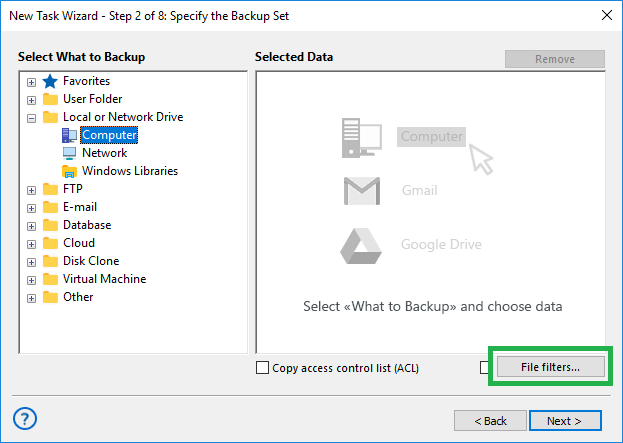 On next steps, you can choose a destination for your backups, select the backup type, encrypt or compress your data, schedule the task and set up some other actions. These steps are not specific for Photoshop backup; please read the User Manual for the detailed instructions. Run a new task, manually or automatically by scheduled period. When running, a task will save your selected Photoshop backups. An advice: By default, Handy Backup saves data in their native format. You may immediately use any Photoshop backup data saved without compression or encryption, as well as any other Photoshop file.